The genus Hypericum is the most important of the Hypericaceae family, widespread all over the world, with about 400 species. It is a herbaceous perennial plant native to Europe and Asia. The authors focus on Hypericum perforatum L, one of the most well-known species, which is widely diffused in dry meadows, in forest clearances, along tracks and roads, from the sea level up to 1600 m of elevation. Also known as St. John’s wort, the applications of Hypericum perforatum L are reviewed. Literature data on ethnobotanical practices, main active constituents, pharmacological activity and applications of Hypericum species throughout the world are discussed as well. 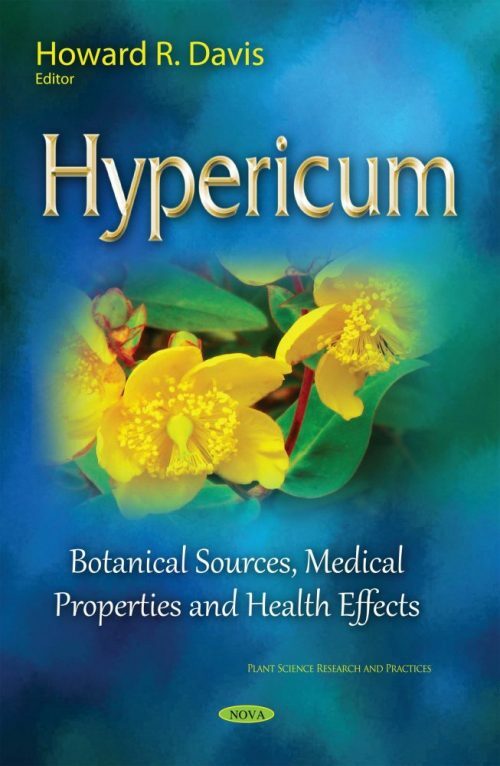 Other chapters review cadmium (Cd) and lead (Pb) concentration in the herbs of Hypericum species; hyperforin as the main active component of the Hypericum perforatum extract and its medicinal uses; and finally, Hypericum sinaicumis is discussed, one of the rarest species. In particular, the distribution of species is addressed and the environmental factors affecting it. The Secreting Structures of the Genus Hypericum, with Particular Reference to Hypericum perforatum L.
New Discoveries on the Hyperforin Derivative, Tetrahydrohyperforin: Closer to an Alzheimer’s Disease Treatment?